Never heard of 'kayanat'- off to check it out now. I had already planned a fiction for the second edition[I knew it was coming!] 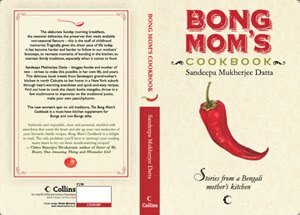 and incidentally it revolves around a mom.Am off to write it and will mail u ASAP :) happy hosting. this is the nicest thing anyone has said of me in LONG time...thank you. Love the fact that there is a theme this time and it is a fantastic theme. This comes close on the heels of the lovely 1st edition!Will give it a try for sure...thanks for reading thru my story for the 1st edition and liking it:)Happy Mommy's Day with lots of love for BS and LS! Hey Sandeepa, what a fabulous ides this is! Can a regular blogger participate too? Or is it only for those who write a food blog?? i had written a post for "of chalks and chopsticks" about a week back and the deadline was over, can the same post be included for the 2nd edition? but i also entered the recipe in srivalli's thanda mela! is that allowed? Can I write something up but link the recipe from my archive? Let me know. This looks challenging and fun. Just sent you something...Grandmother entry.Close to your theme perhaps. I enjoy your blogs a lot and the receipes too. Where can I see the entries for the "Of Chalks and Chopsticks" 1st and 2nd edition.